Police say the victim was shot multiple times and pronounced dead at MetroHealth. Cleveland Police are investigating a car accident and shooting that happened in the 11000 block of Fortune Ave. late Tuesday night. 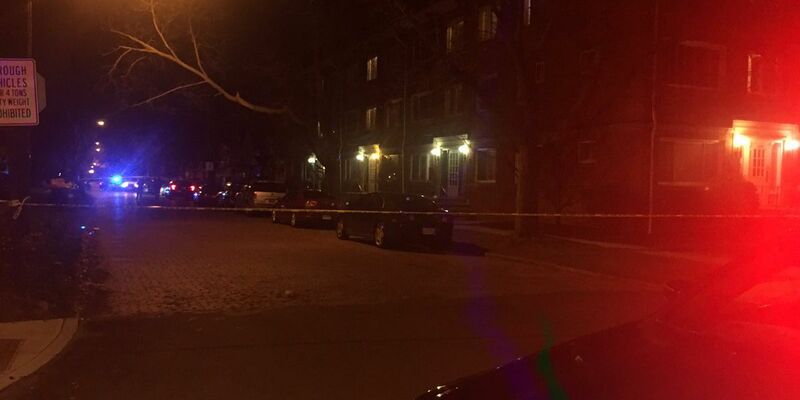 CLEVELAND, OH (WOIO) - Cleveland Police confirm Albert Lee Crenshaw, 44, as the man who was shot on the city’s West Side late Tuesday night. Crenshaw was pronounced dead at MetroHealth. He was found inside of a car that crashed in the 11000 block of Fortune Ave. between W. 105th St. and Bosworth Road. Police said Crenshaw suffered multiple gunshot wounds. No ones been arrested. Cuyahoga County court records indicate Crenshaw pleaded guilty to a drug possession charge in 2016. A judge sentenced him to two years of community control. Records state Crenshaw was later sentenced to six months in the county jail for violating terms of his probation. Wednesday morning investigators had a half-block of Fortune Ave. surrounded by crime-scene tape. Around 3:45 a.m., a vehicle with a white sheet covering the driver’s side window was towed from the scene. According to police reports, a witnessed described seeing what appeared to be an accident outside his home. The witness told police they saw a man approach a vehicle and fire shots. Two men were reportedly seen running from the area after the shooting.